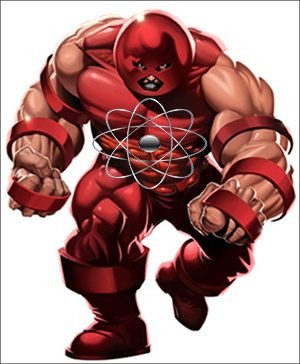 If you’re a fan of Marvel comics — or your kids or grandkids are — then you know about Juggernaut. A nemesis of the X-Men, he’s featured in a couple of movies as a huge guy in an improbably large helmet. Juggernaut’s superpower is that he is an unstoppable force. Once he builds up momentum, he can plow through anything. Anything! Walls … buildings … whole mountains. My friends, there is a Juggernaut in the commodity markets. It is uranium. It is gaining momentum. And it cannot be stopped. Now, I write about uranium often enough that you should be familiar with the story. Every time I write about it, it’s higher in price. Would you like to guess what uranium has done since the last time I wrote about it? 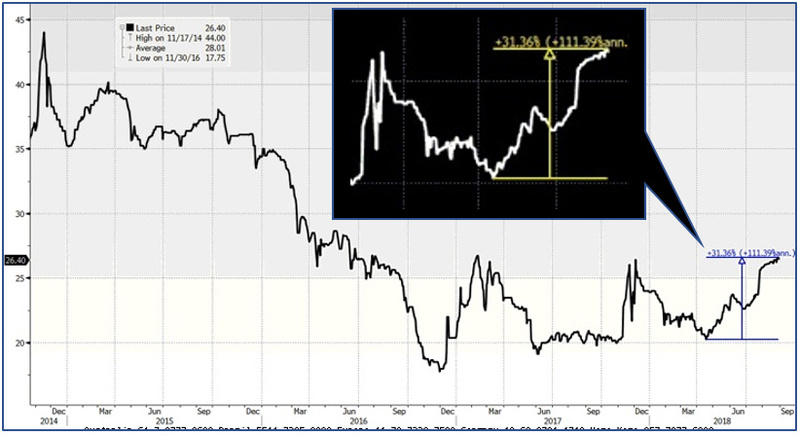 Yes, uranium has gone higher. In fact, it’s done something that gold, silver, copper, oil and other commodities haven’t done. Uranium has gone higher for four months in a row. Spot uranium is up 2.1% this month alone. 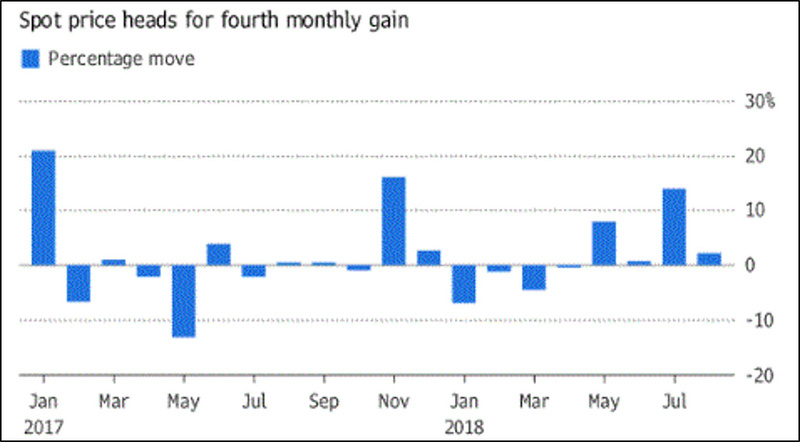 And looking at the big picture, uranium is heading for its longest run of monthly gains since November 2014, as you can see from this Bloomberg chart. Nice! So, is this run nearly done? Is this momentum about to run out of gas? Nonsense! Because this is Juggernaut. And it is just building momentum. Uranium has rallied 31% this year. You can see it clearly on that blow-up I put in the chart. But if we just look back to 2014, we can see uranium was as high as $44 per pound. Yeah, I would say uranium has a lot more room to run. After all, it is Juggernaut. It has momentum on its side. Major producers shutting down production. Basically, because it’s cheaper to buy uranium on the open market than mine it. In fact, when one of the biggest, producers, Cameco, shut down its McArthur River Mine, it not only stopped 18 million pounds a year of production. It now needs to buy 11 million to 15 million pounds to meet the rest of its 2018 and 2019 delivery commitments. A 7-million-pound deficit in global uranium production this year — a deficit that will only get worse. Sensing blood in the water, new funds are moving into the uranium space to buy up the metal while it’s still cheap. This only makes the supply/demand squeeze tighter. Utilities have “underbought” uranium for years. Because it was always getting cheaper. Somebody has some catch buying to do. And there is a whole fleet of new nuclear power plants coming online worldwide. All these reasons and more give uranium momentum. I’d say it’s juggernaut momentum. The bears had best get out of the way. And $44 doesn’t have to be the top. Heck, if we look all the way back to 2007, uranium traded as high as $135 per pound. Will we get there? I don’t know. I DO KNOW I’m not going to argue with Juggernaut. That dude looks unstoppable. I’ve told you an easy way to play this — the Global X Uranium ETF (NYSE: URA). I also know how my subscribers are playing it. I’ve given my Supercycle Investor subscribers three picks. We were a little early to the party with one of them, so only two are profitable … for now. But they all have upside momentum. And I plan to give my subscribers a new pick next week. This profit party is just getting started. I want as many tickets to this dance as possible. If you’re doing this on your own, do your own due diligence. There are some turkeys out there. But Juggernaut is gaining speed. You better get busy, or you best get out of the way. I read a comment by Keith Fitsgerald that the market would crash by October 31 please comment on this.